The mat by your front door says “welcome home,” but do you really feel welcome when you cross that threshold? Create a welcoming, comfortable environment in your home with a few simple updates. From curb appeal to lighting and even custom mud room organization, Boston Closet Company has you covered. Love your home again and impress your neighbors and guests with these tips. When you pull up to your home after a long day, the goal is to feel welcomed with open arms. If your home doesn’t make you feel this way, there are a few simple changes you can make to get the warm and fuzzy feeling you seek. 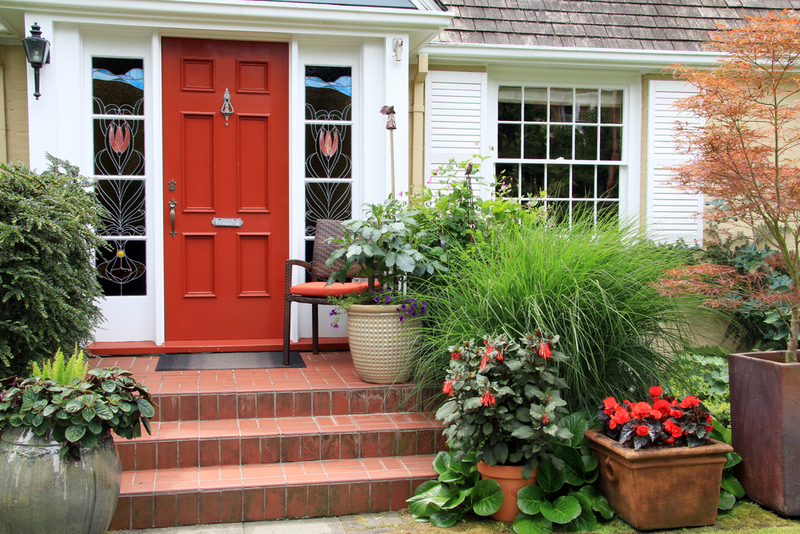 Add curb appeal accents such as a refreshing landscaping design, potted plants or front porch seating to transform your space into to an area you’ll be excited to come back to. In fact, it may be hard to say goodbye in the morning! The use of bright, vibrant colors in interior design was once a very popular trend, but these colors create the exact opposite of a relaxing space. We recommend using neutral colors like white, beige and grey as the focus color in the main areas of your home. Bright colors like red and blue are excellent accent colors and can help you express your own personal style within your home. During the day, open blinds and windows to illuminate your home with beautiful natural light. This alone can make even the darkest spaces feel cozy and warm. At night, when you need to flip the light switch, you want to set the mood of your home. Harsh overhead lighting can create an unwelcoming environment that no one wants to spend time in. Use soft lighting to create a peaceful atmosphere that will help you feel relaxed – even after a long day at work. To complete your home transformation into a comforting and welcoming space, we recommend rethinking your living room furniture, textures, and accessories. Thankfully, the era of plastic-covered sofas and chairs are long gone and we’re allowed to live freely in our living rooms again. There is no need to buy all new furniture for a new look; you can simply update your existing furniture with soft throw pillows, blankets and area rugs. Overstuffed cushions are inviting and allow you to sink in and kick up your feet. Create the most welcoming environment possible with these super simple home updates. The team at Boston Closet Company can help you with your home organization needs, including custom closet and mud room design. To request your free consultation, contact us online.